The 2015 Jones Cup entered its fourth day of competition yesterday, and the highlight was certainly the Philippine victory over an overly physical Russian side. Also, Iran remained the only unbeaten squad after drubbing New Zealand. 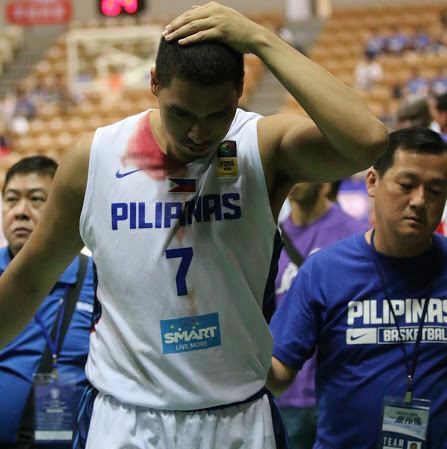 Sonny Thoss was on the receiving end of a nasty elbow early in the game. The Philippines came into the tournament seeking improvement after going 0-3 in the recent Toyota Four Nations Cup. While Gilas Pilipinas are still not at the necessary level to have success in the FIBA Asia Championship later in the month, their win did showcase further progress. the positive strides on the defensive end are most notable. After struggling mightily to get key stops in the Toyota Four Nations Cup, the Philippines is doing a much better job collectively of keeping opponents from getting so many easy looks around the rim. Kostiantyn Glazyrin had 23 points for Russia in the loss. New Zealand pushed Iran harder than any other opponent in the event so far. It trailed by just two heading into the fourth quarter before the tournament leaders finally pulled away with a 25-14 scoring edge in the final period. 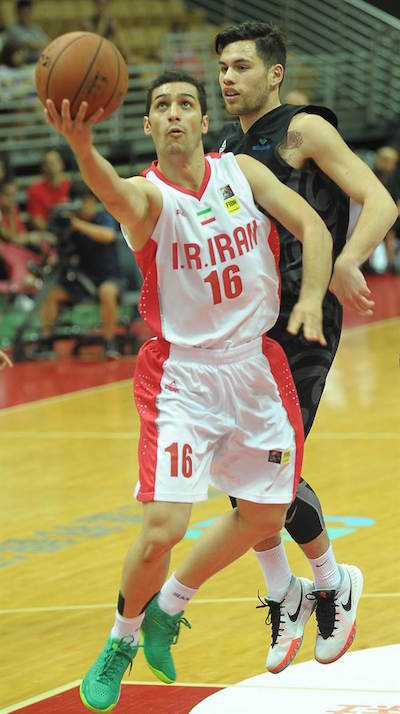 Hamed Haddadi had 17 points and 10 rebounds for the Iranians. Mohammad Jamshidi and Asghar Kardoust also reached double digits in scoring, chipping in 13 points apiece. The main reason they didn't pull away quicker was the fact they made just four of 30 attempts from three-point range. Bryan Davis and Brook Ruscoe combined for 23 points and 12 rebounds for New Zealand. The team's lack of a reliable point guard to run the offense resulted in just four assists and 15 turnovers, and it prevented the squad from making a charge in the fourth. Farid Aslani slips past the NZL defense for the two. The struggles of the United States' tournament representative, Select-Overtake, continued with its third loss in four games on Tuesday. While it's a roster nowhere close to what the U.S. would send to a major international event, the results are nonetheless lackluster. Perhaps the biggest issue is the lack of depth, which was on full display against South Korea. Marquin Chandler, Derek Hall and Cory Bradford combined for 52 points while the rest of the squad chipped in just 28. In contrast, South Korea had seven different players reach double figures. 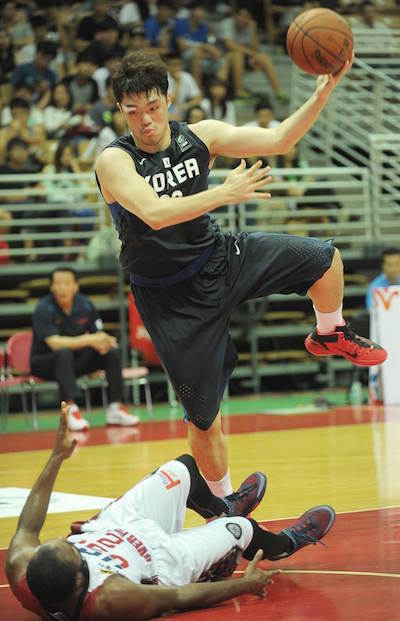 Lee Seung-hyun paced the Koreans with 18 points and seven rebounds. He led the way as they grabbed an 11-point lead in the first quarter and never looked back. Lee Seung-Hyun had another strong game for Korea. The main event of the day saw the two squads from Chinese Taipei square off. Though the underdog White Team held a one-point lead at halftime, the Blue Team controlled the third quarter, 24-10, en route to the victory. 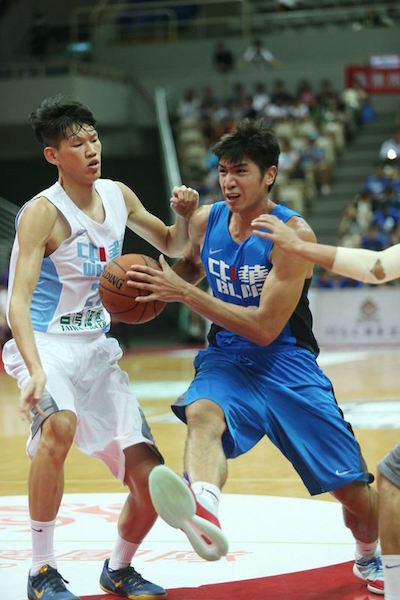 Chou Po-Chen had a terrific game for the Blue squad, tallying 19 points and 8 rebounds. Hung Chih-Shan added 17 points on the strength of five three-pointers as Taiwan’s Team A moved into second place through four games. 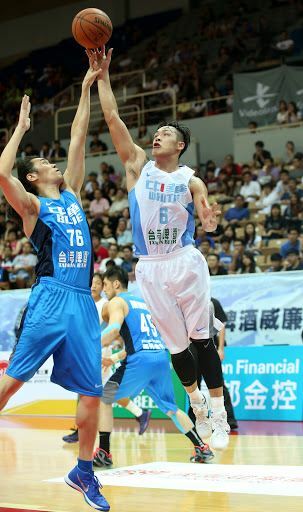 Chou Yi-Hsiang posted 22 points for the losing side. If Chinese Taipei Blue can maintain its current course, a potentially huge matchup with Iran looms Friday. Chou Po-Chen attacks the basket with impunity. 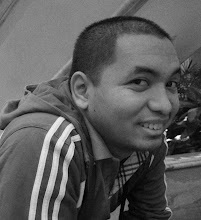 Chou Yi-Hsiang paced Taiwan White anew.